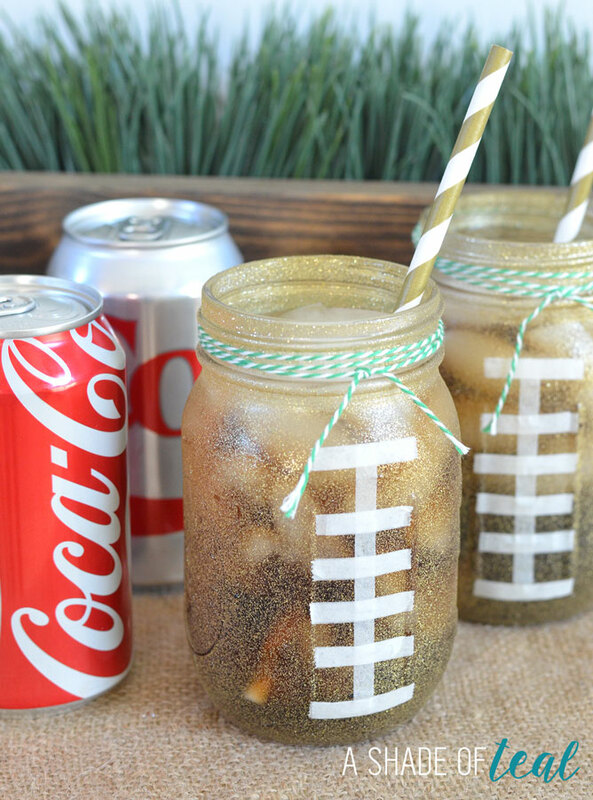 Football season means party’s, tailgating, and even home-gating! 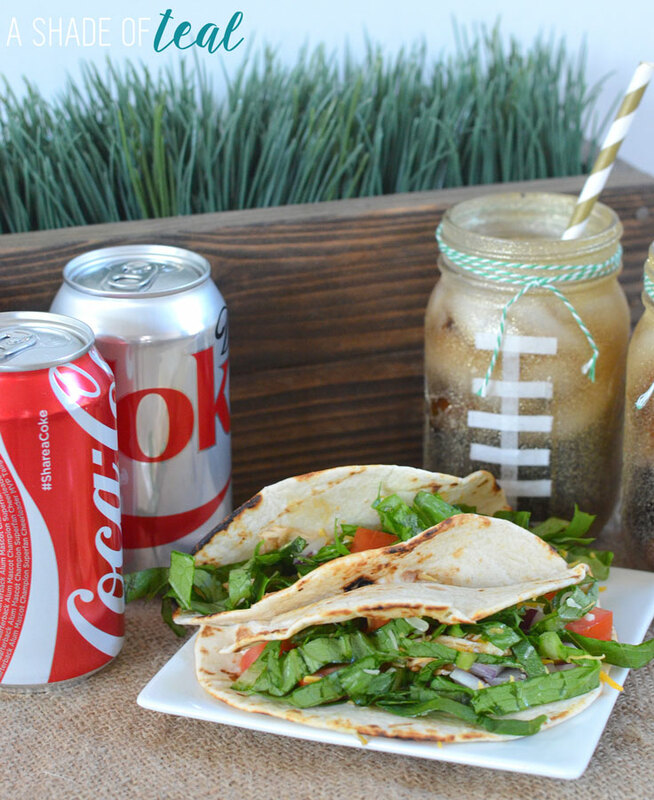 To get ready for this fall season I’m making some football inspired mason jar cup holders along with one of my favorite recipes, Sweet Barbacoa Chicken Tacos. 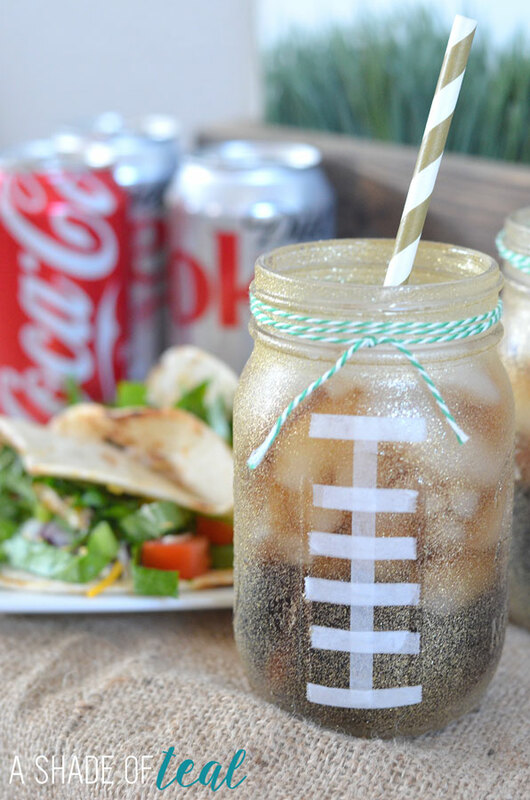 Both are perfect for your next football gathering. 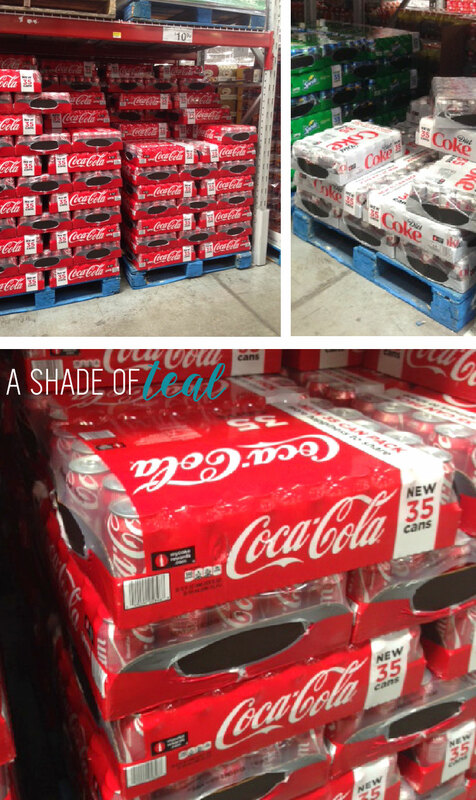 I like to buy Coca-Cola or Diet Coke at Sams Club since they offer 28 packs at unbeatable prices. One visit will last me a long time! Plus their perfect for your next football party and if your busy like me you can always order Online and Pick Up in the store. Just go to Sam’s Club online and order anything you need for your next tailgating or football party. Then go pick it all up instantly in store! 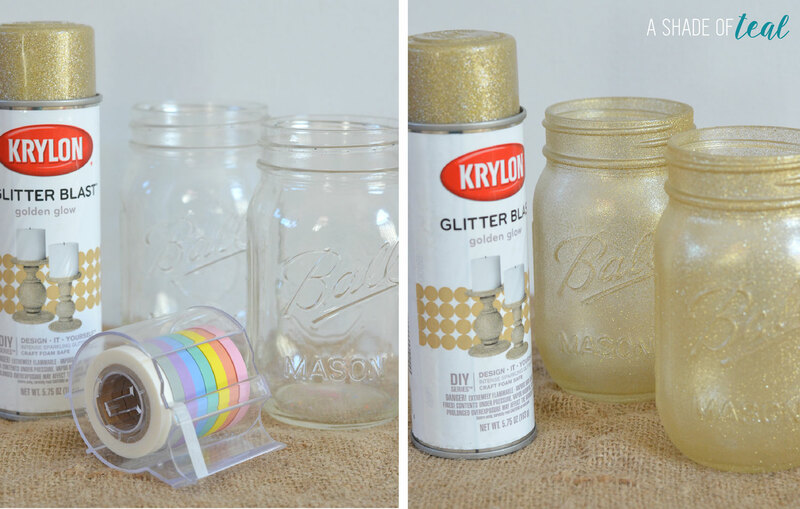 Back to the mason jars; start off by spray painting the jars with the glitter spray paint. Make sure you ONLY get the outside. Next, add a piece of tape down the center. Then start adding smaller pieces in the other direction. After you add all the tape top it off with some decorative string in your teams colors. Add Coke or Diet Coke and your ready to serve! Now for the most delicious tacos you’ll ever make! 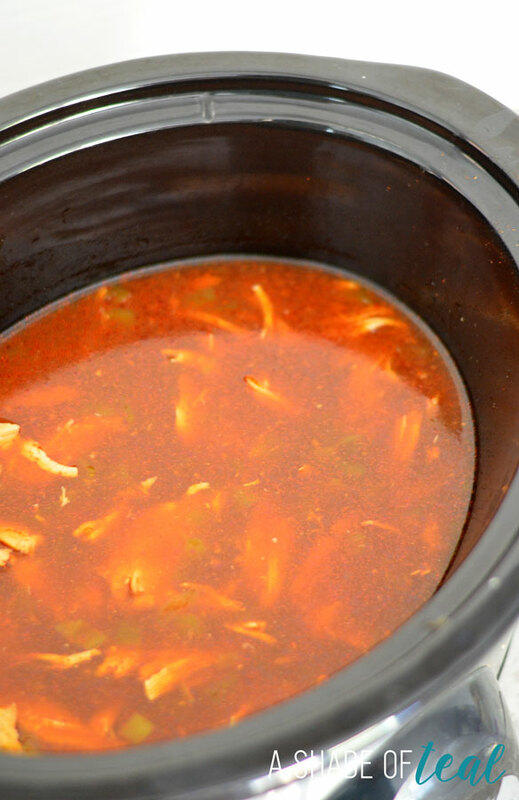 You’ll need to start the marinade the night before your Football party, but on game day just throw everything into your crock pot and let it cook. Step 1: Start with marinading the chicken. I like to marinade the night before. 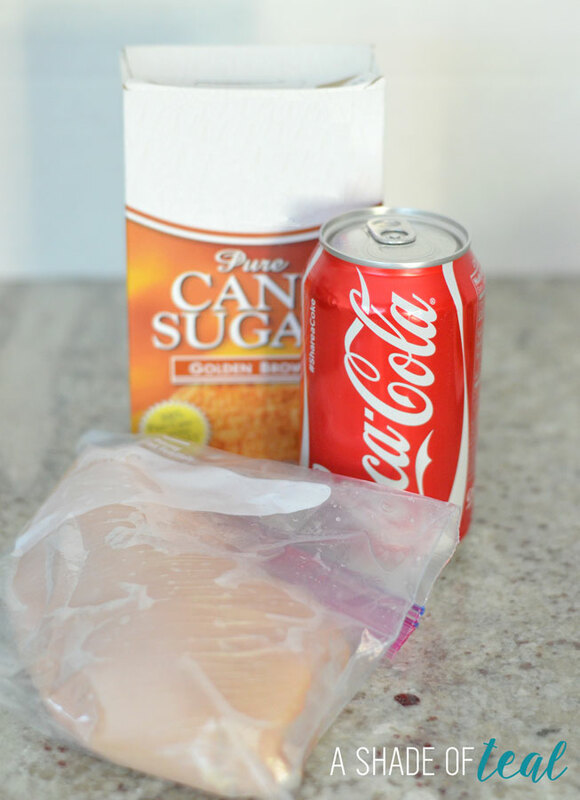 I place the chicken breast’s (raw or frozen) in a heavy duty Ziploc bag and add 1 can of Coke and about 1/2 cup of brown sugar. Place in the fridge and marinade for a few hours or overnight. 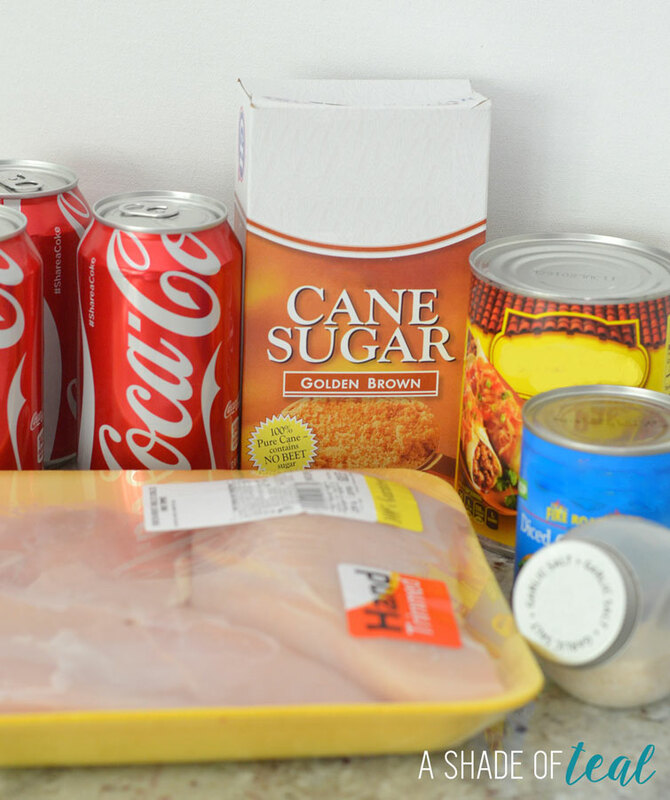 Step 2: Add 1 can of Coke, water, garlic salt, chilies, enchilada sauce and brown sugar in the crock pot, stir everything together. Then drain & discard the marinade from the zip lock bag and add the chicken to the crock pot. Step 3: Cook on low for 8-9 hours or high for 3-4 hours. It definitely tastes better when cooked on low. Step 4: Take chicken out and shred the meat. Then add the meat back to the crock pot and that’s it! 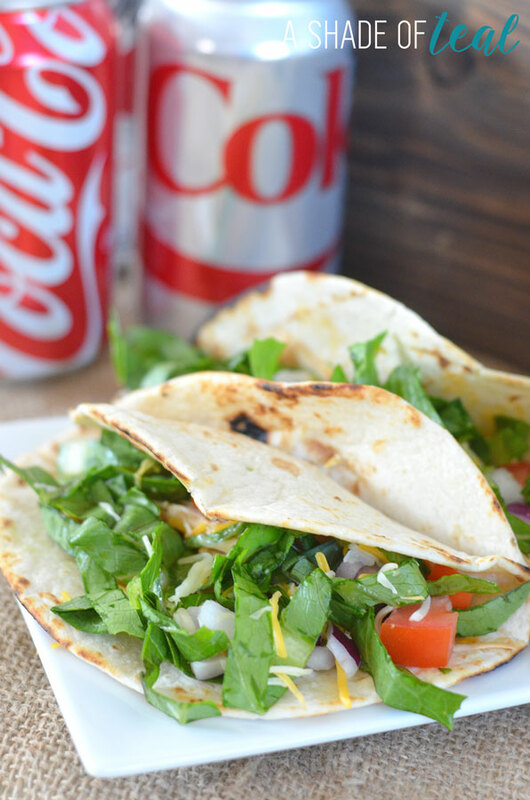 Enjoy with your favorite taco toppings. 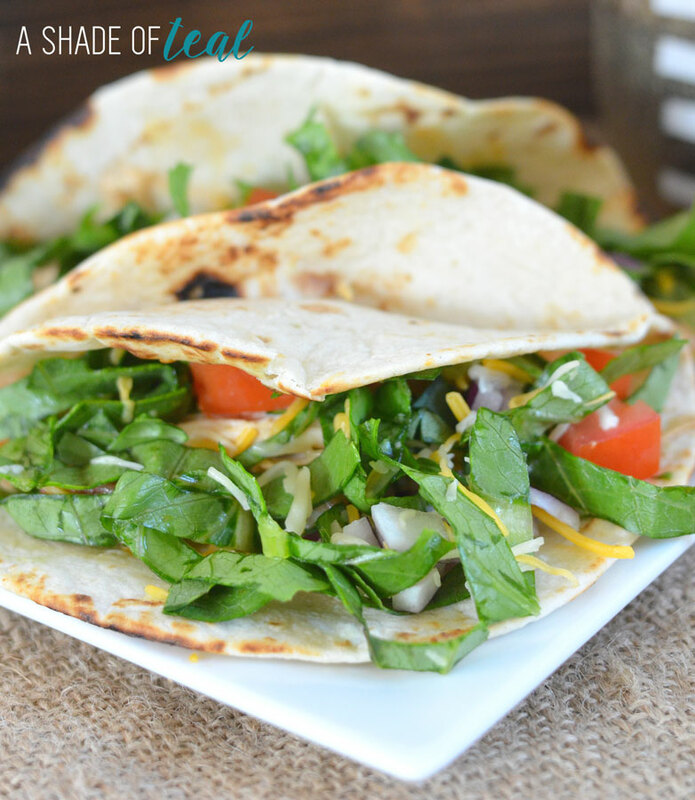 Your party guests will love these tacos. 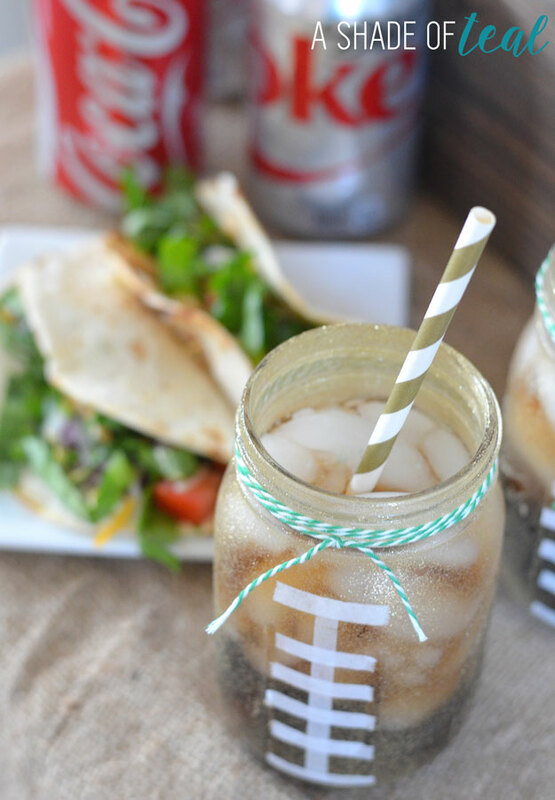 Don’t forget to serve with your new Mason Jar Football cup holders! 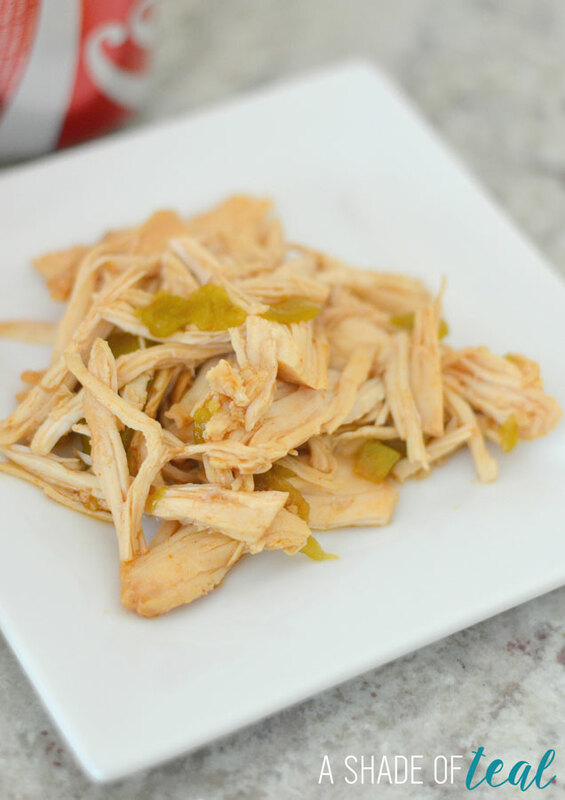 Do you have a favorite recipe you serve at your Football gatherings? I love to hear about it! This looks like so much fun and such a great way to make a party that much better. I love Mason jars and everything you can do to them. Thanks for sharing! Thanks so much Christina! I agree Mason jars are the best! 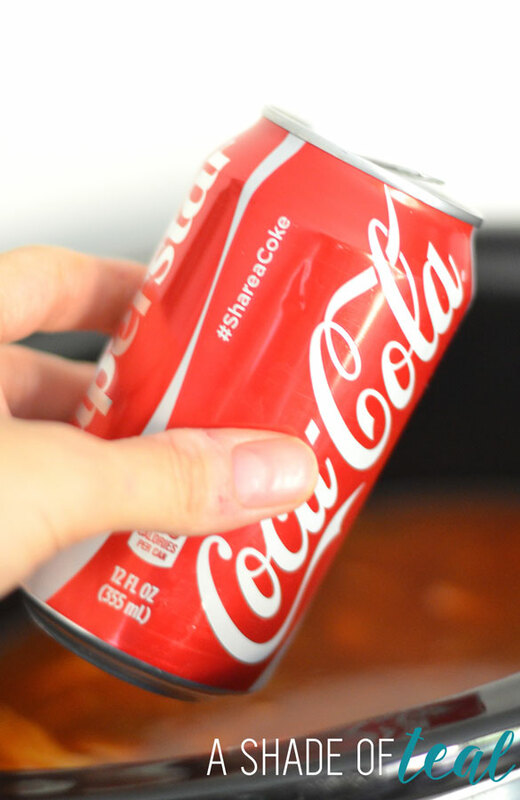 Never would have thought to put coke in the crock pot. Great idea and looks amazing. Adorable glasses too!!! Thanks Lori! They are delicious! This is so creative!! I’m in love with those jars! This is perfect for a Superbowl party. 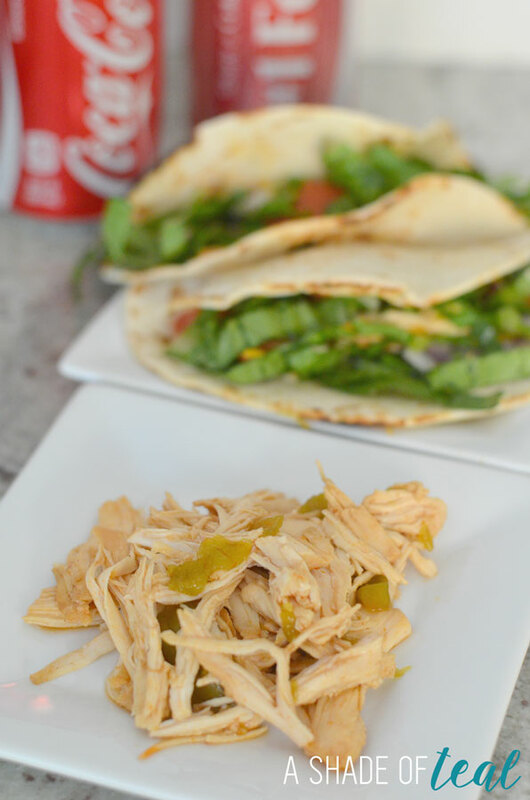 The chicken tacos look great too! 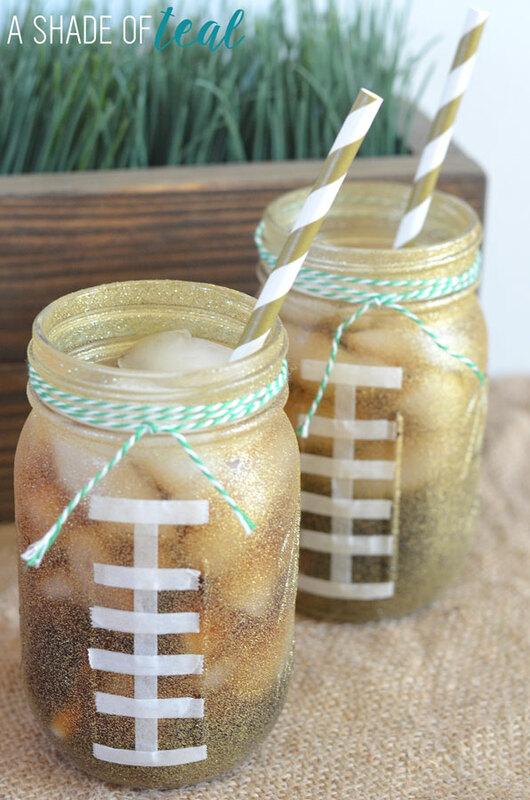 Love the jars, anything to make my hubby’s football addiction more fun for me is a bonus! The tacos sound delish! I’m loving that glitter spray! I have a potted plant, and I hate the blah clay pot, that would spruce it up perfectly! Cute party! Thanks Stacey! The glitter spray paint really does update so many things!